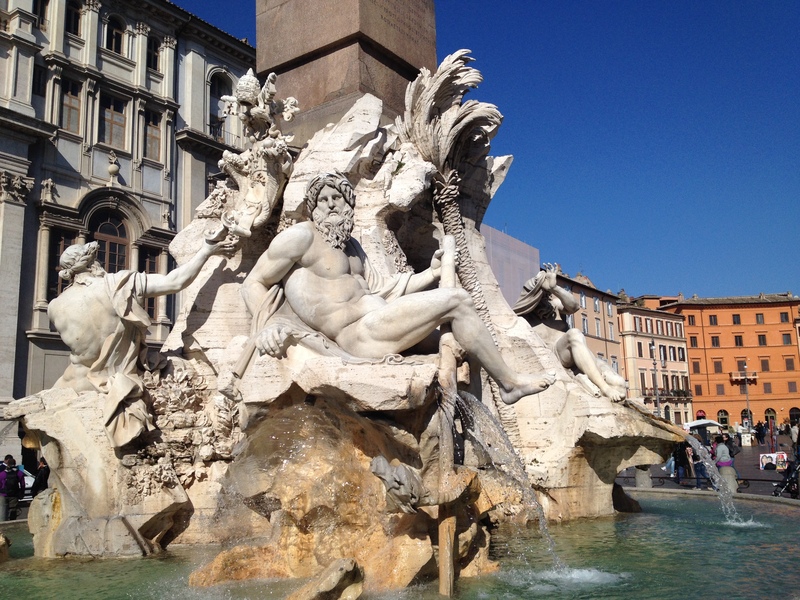 There are so many wonderful restaurants in Rome and Michele and I try to eat in as many as possible. 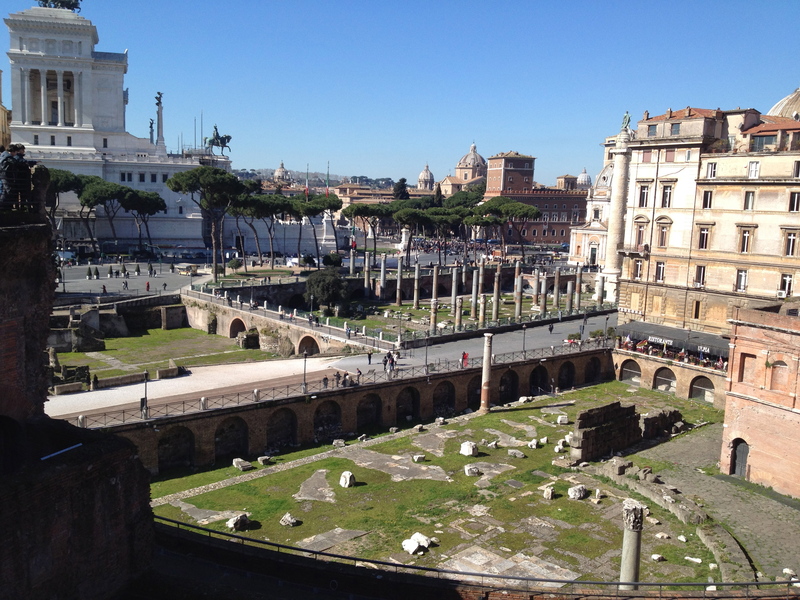 We rented and apartment for two weeks in the Monti which is close to the colosseum and the forum and were able to walk to many of them. 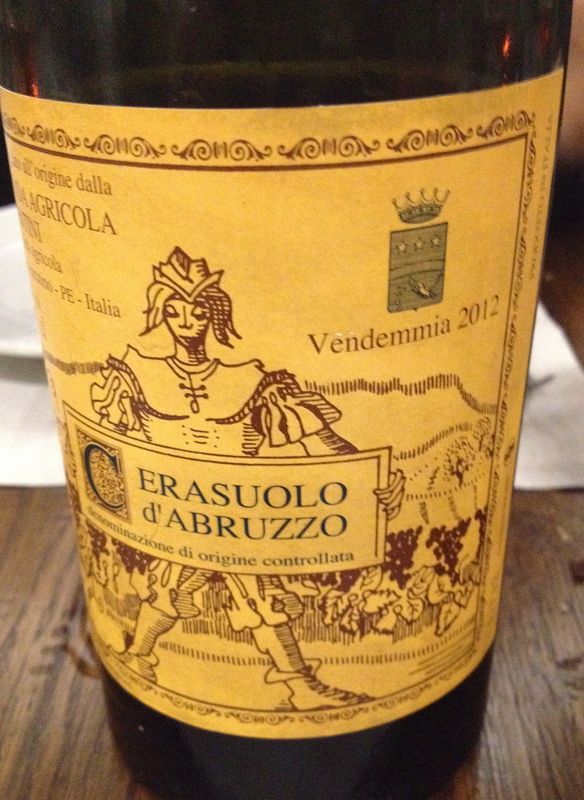 Enoteca Cavour 313, located at 313 Via Cavour, is a wine bar in Rome that I always wanted to try but never got to. Last month we rented an apartment in the Monti section of Rome and I realized that it was right around the corner so we went. It is a cross between a pub and a bistro with dark wooden beams running across the ceiling. There are two wine lists. One is for the restaurant and it contains close to 1,000 labels in all price ranges. The other is a list of wines for sale that you can take home with you. The menu is limited but appealing. 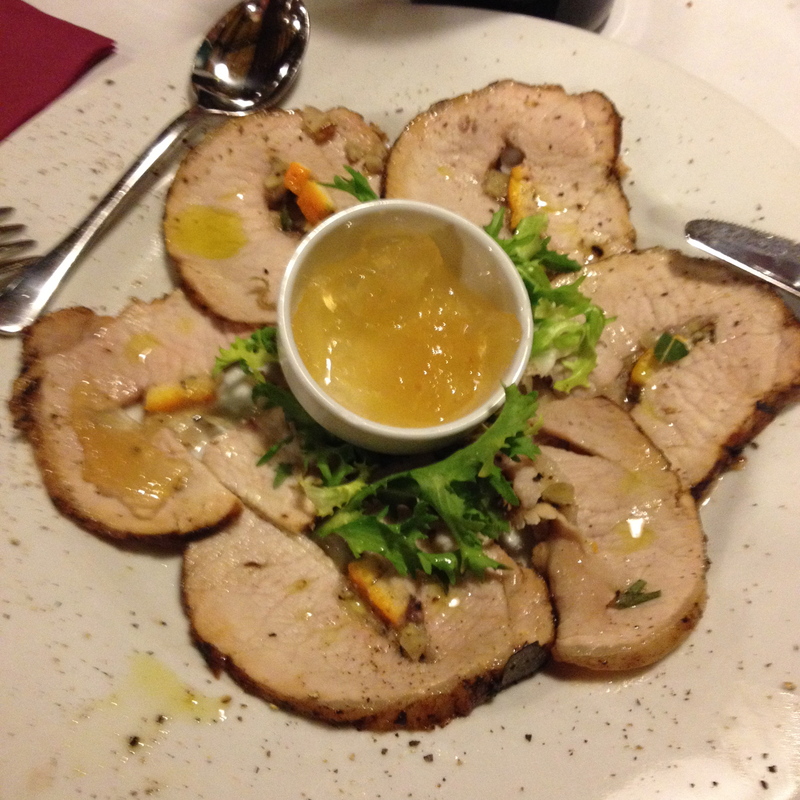 I had an insalata mista and roast pork with house made pear mostarda. The pork was perfectly cooked and delicious. 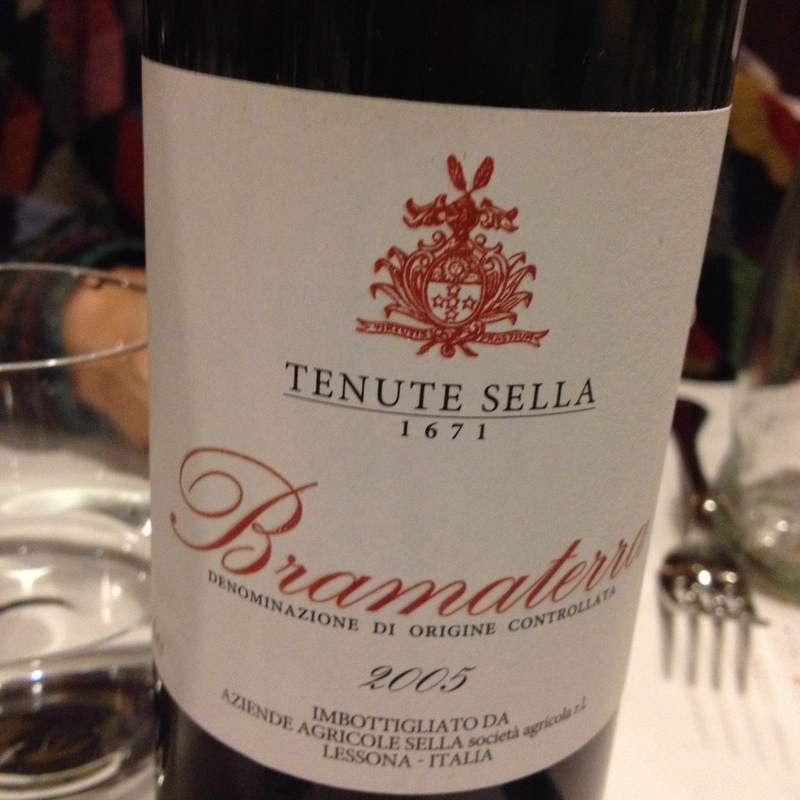 We drank a Bramaterra 2005 from Tenuta Sella made from 70% Nebbiolo, 20% Croatina and 10% Vespolina. The production area is in Northern Piedmont. The vines are 48 years old, the exposure is Southwest, the vineyard is at 300 to 350 meters the training system is guyot and the soil is volcanic in origin and reddish brown in color. Harvest takes place between September 22 and October 12. After the grapes are crushed, fermentation takes place in stainless steel tanks with pumping over and delestage. There is 30 days maceration for the Nebbiolo and 16 for the Croatina. The wine is aged in 10 hl Slavonian oak casks for 28 months. The wine was showing no signs of age. There were hints of faded roses, leather, blackberries and a hint of spice. The wine could age for another 10 years. It is an excellent buy. 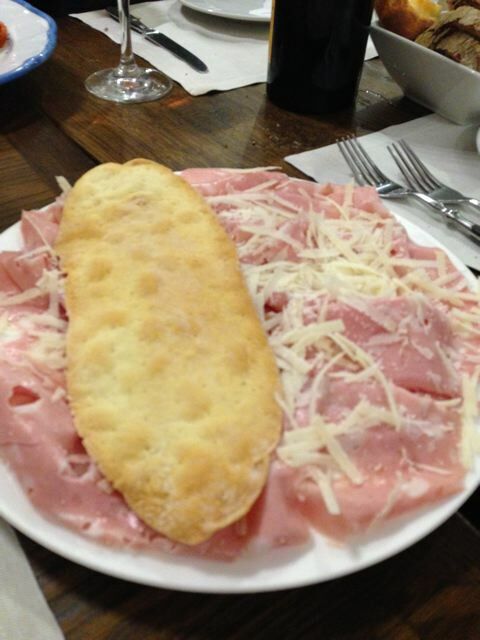 It was opened in 2002 when Alessandro and Pierluigi Roscioli decided to make the change from the family grocery. They also have a bakery named Roscioli around the corner, with the best fig bread I have ever eaten. They also sell Roman style pizza by the slice. 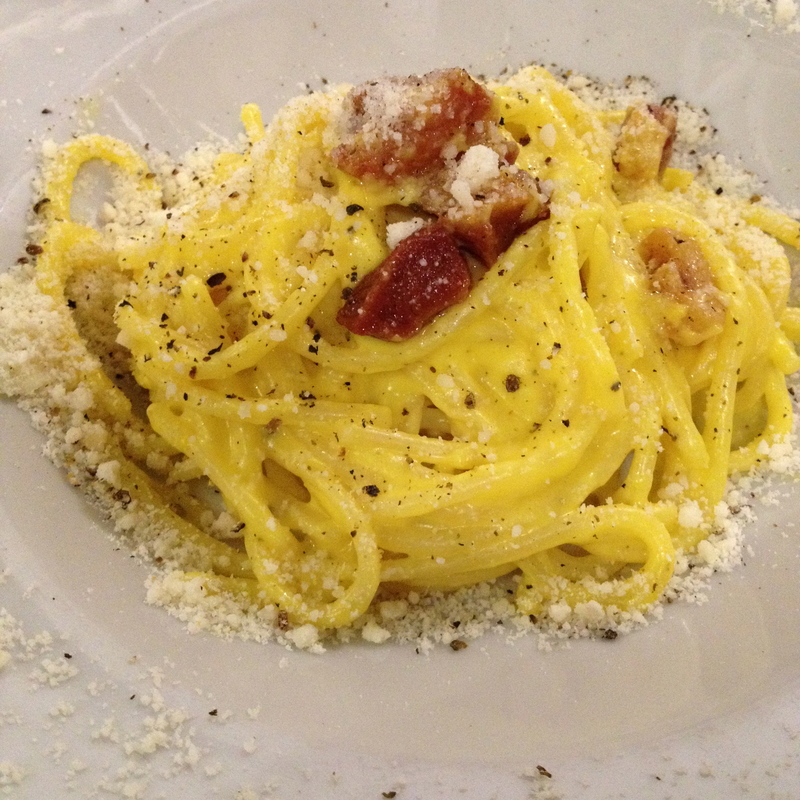 Michele likes the restaurant because it has one of the best spaghetti carbonaras in Rome. We started with hand made Mortadella from Bologna garnished with crisp bread and 36 month aged Parmigiano Reggiano from red cows. 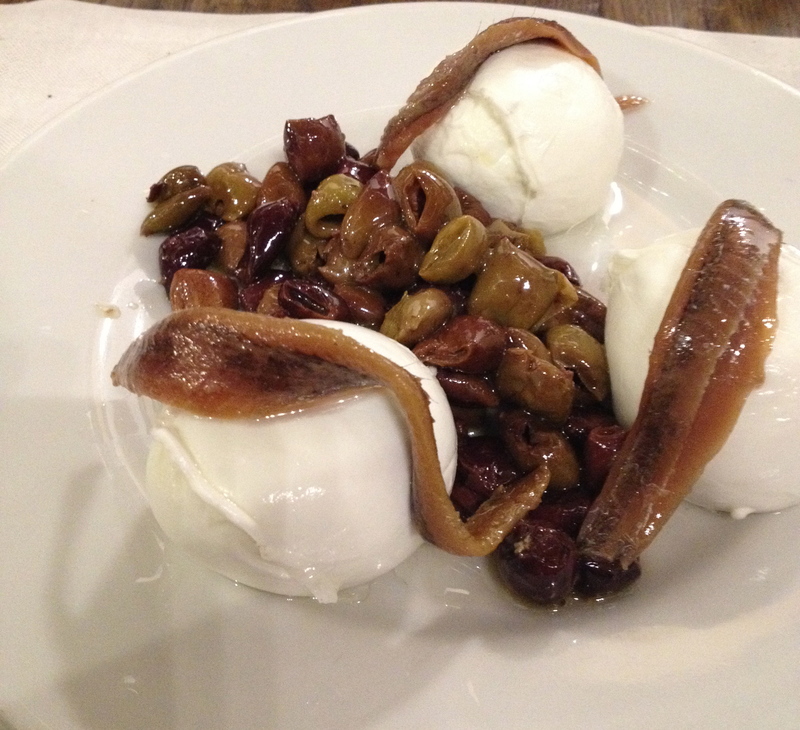 Then I had the water buffalo DOP mozzarella from Paestum served with Cantabrian anchovies and Taggiasche olives. We both ordered La Carbonara: Spaghettone Pasta tossed with bits of crispy guanciale (pork cheeks), black pepper, Paolo Parisi eggs and Roman Pecorino DOP. The wine was the 2012 Cerasuolo d’ Abruzzo (Rosè) made from100% Montepulciano d’Abruzzo from Eduardo Valentini. Aged in large botti of Slavonian oak for 12 months. There was just a touch of strawberry in the wine but that may be the only thing it has in common with other rose wines. I believe it is Italy’s best Rosè and it was less than 40 Euro in the restaurant. Eduardo passed away a few years ago but his son Francesco continues the tradition. 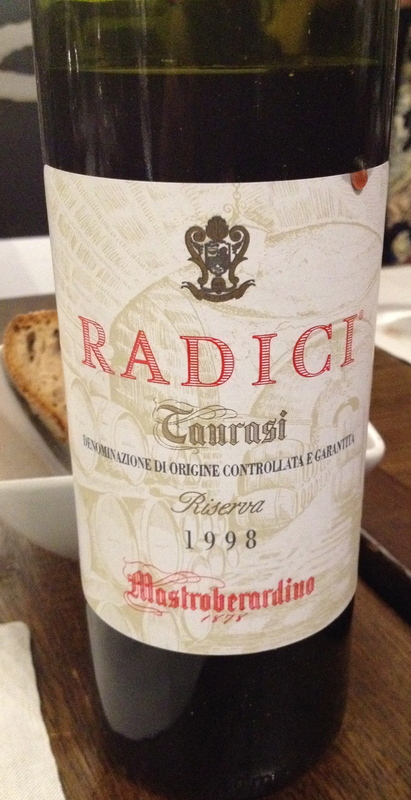 Taurasi Radici 1998 Riserva 100% Aglianico Mastroberadino The soil is poor in organic substances but with a high content of clay, limestone, minerals and microelements. The vineyards are on two hills, Mirabella vineyard at 500 meters and the Montemarano vineyard at 550 meters. Because of its position on the hill and its altitude, the temperature at the Montemarano vineyard is much colder and the grapes are picked a little later. Harvest is from the end of October into the beginning of November. The vinification is the classic one for red wine, long maceration with skin contact at controlled temperatures. The wine spends one year in Slovenian oak barrels and two years in bottle, the wine can be laid down for 10 to 15 years. The riserva stays in medium sized 40 to 50HL oak casks for 2 years and 2 years in bottle. It can live in the bottle for 25-40 years. This is the way I believe the 1998 was produced. The wine was showing no signs of age. This is a full, complex wine with hints of black cherry, plum, spice, smoke and a touch of leather. Roscioli has a very good wine list and the wines are displayed on the walls of the restaurant. 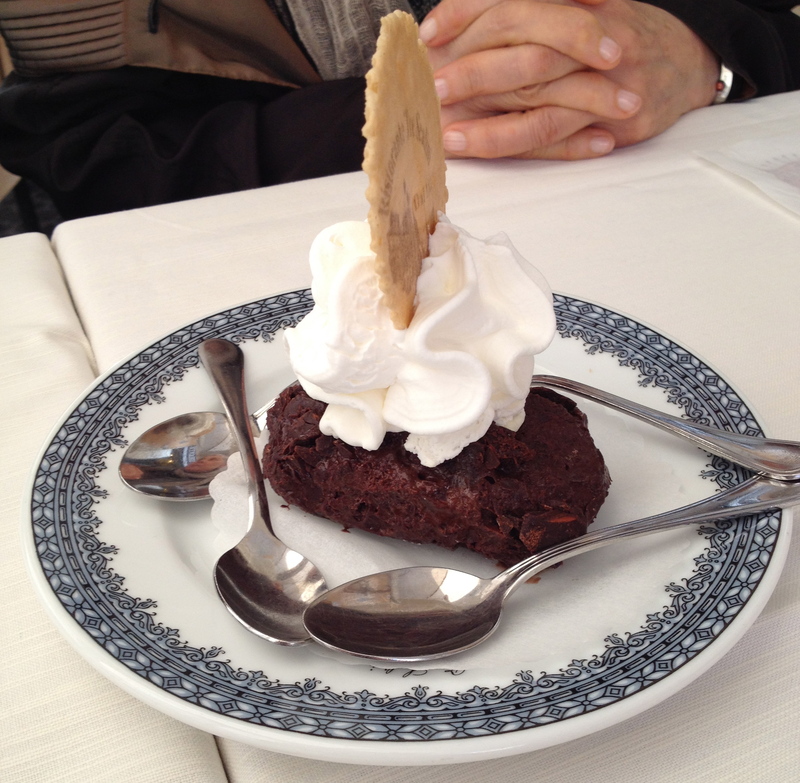 We were walking in the Piazza Navona and passed Tre Scalini, a café and restaurant famous for its Tartufo, chocolate covered chocolate gelato. 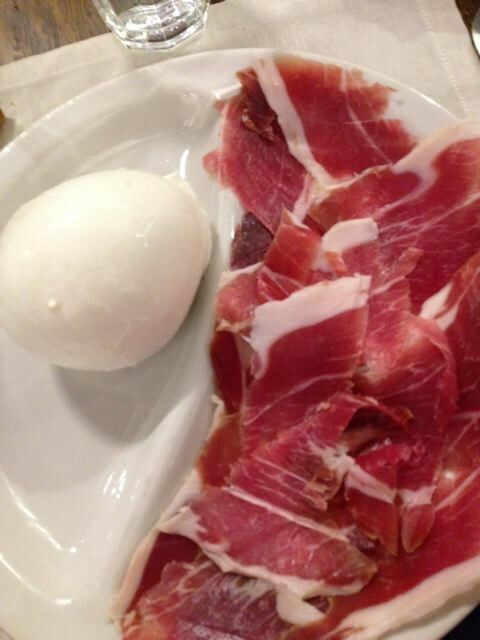 The tartufo was created in 1946 by the head of the Ciampini family. It has 13 varieties of Swiss chocolate and the exact recipe is still a secret. It has been a number of years since we had one so we decided to try it once again. The shape is different than I remember it, but it was just as good.